Summers at CA are much less formal. There is plenty of time for fun while being challenged intellectually, physically, or both. A top-notch staff conducts all of the camps which cover a wide array of subject matter and activities. With a wide variety of offerings from computers to circus, day camp to lacrosse, rock climbing to photography, computer graphics to ice skating, there truly is something at CA in the summer for every school-age individual. At CA Summer Programs, we recognize that every child is unique, so it’s our goal to provide a wide variety of programs that appeal to the unique personalities of every camper. Our camps can be viewed as a la carte offerings that can be combined to create a fully customized schedule for your child. 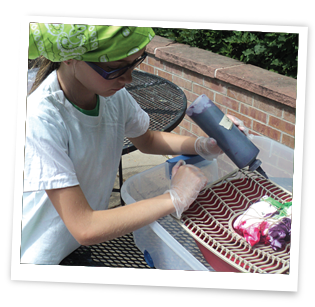 Combine Day Camp blocks and specialty camps to create the perfect day for your child. Full day specialty programs are also available. Custom schedules require a little more planning, but it’s worth it!